The Jacksonville Magazine, Jax Mag, June 2018 issue includes the list of the best doctors in Jacksonville as named by their peers. Our North Florida based Team of Doctors was featured in their Best in Jax Top Docs profile section. Florida Retina Institute was founded in 1979 by James A. Staman, MD. Since then we have grown tremendously with 19 locations throughout North Florida, Central Florida, and Southeast Georgia. We are excited to be celebrating 40 years of delivering Excellence in Patient Care in July of 2019. Our Retina Specialists focus on the highest quality patient care and best individual treatment plans, applying the latest advances and most sophisticated methods in vitreoretinal medicine. 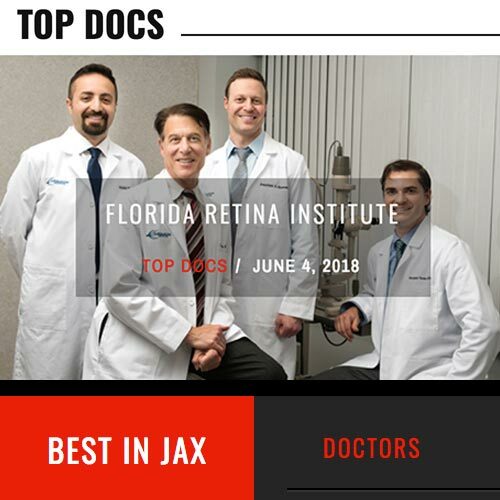 Top Doctors: Florida Retina Institute’s eleven ophthalmologists are a team of renowned doctors who are all board-certified, fellowship-trained retinal specialists. Dedicated to the diagnosis and treatment of vitreo-retinal diseases and surgery, our doctors are consistently recognized as national leaders. They are selected by their peers as Castle Connolly’s Top Doctors, ranking best in the U.S. and their region. Top Education: Our physicians completed their ophthalmology residencies and vitreoretinal fellowships at some of the most prestigious, top rated hospitals and universities in the U.S.; Bascom Palmer Eye Institute Miami, Wills Eye Hospital, University of Iowa, Emory University and Baylor College of Medicine. Top Hospitals: Being affiliated with the leading hospitals in our regions, we participate in continuing medical education, research and clinical trials to further enhance each diagnosis, condition and treatment. 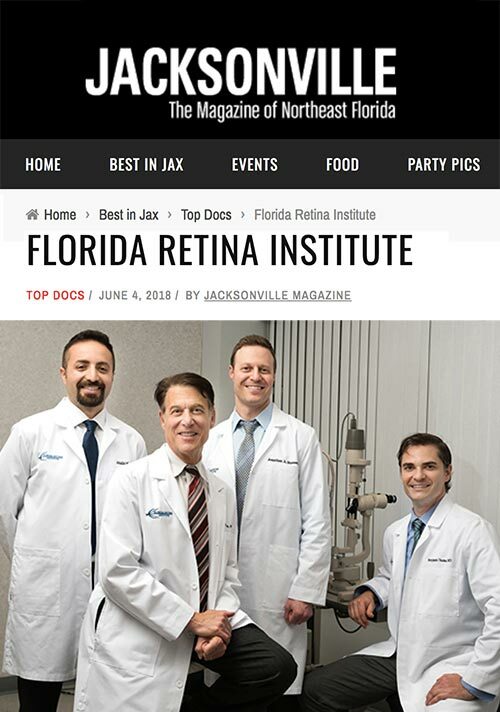 The physicians and staff at Florida Retina Institute strive to provide excellence in patient care with knowledge and compassion, all while earning your trust and confidence.